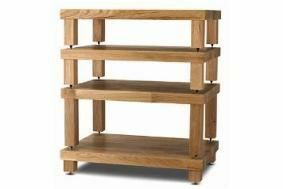 Sevenoaks/Audio T to stock Award-winning Hi-Fi Racks Podium range | What Hi-Fi? Now Sevenoaks Sound & Vision is to become an official stockist of the range, with Podium products making their way into Sevenoaks stores. "This is a great addition to the products offered by Sevenoaks/Audio T Group and will work with a wide choice of hi-fi separates that we sell," says Rob Lawley, Sevenoaks' Group Operations Manager. You can watch our video review of the Hi-Fi Racks Podium on our Awards website.